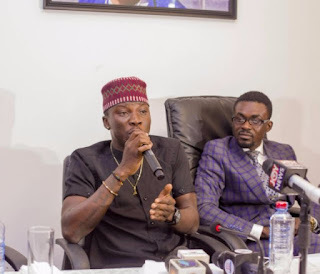 In the midst all the brouhaha going on between Shatta Wale, Stonebwoy, and Zylofon Media record label, Zylofon has released a press statement saying that Stonebwoy is still a signee of the record label and they will deal with anybody or entity that deals with him or any of their signees without their concern. Ever since all this fracas started, there have been rumors that Stonebwoy has parted ways with Zylofon Media. It was even rumored he will be joining Black Stars Captain, Asamoah Gyan on his soon to be started label but Baby Jet as Asamoah Gyan is affectionately called came out to deny the rumors. 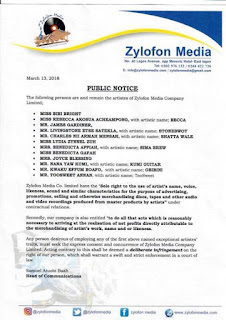 Zylofon in a press statement has revealed that Stonebwoy is still signed to Zylofon Media and they will sue any entity that deals with him without their permission. Prior to the release of this statement, Nana Appiah Mensah, the CEO of Zylofon Media had already stated Stonebwoy is still a member of Zylofon Media and in good standing.